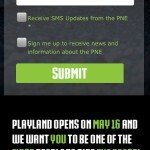 Playland at the PNE Vancouver installed a new extreme ride ‘The Beast’ for the 2015 season. 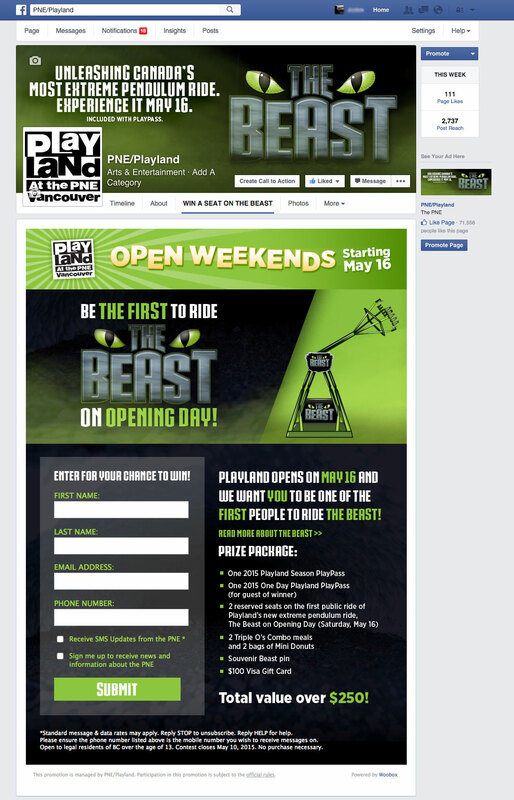 To ensure the opening weekend went off with a bang, Playland held an online contest through their Facebook page for their fans to enter to win a chance to be the first to ride The Beast. 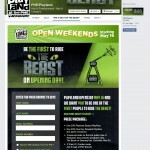 The contest consisted of a fun design showcasing the new ride accessible on both desktop and mobile devices. 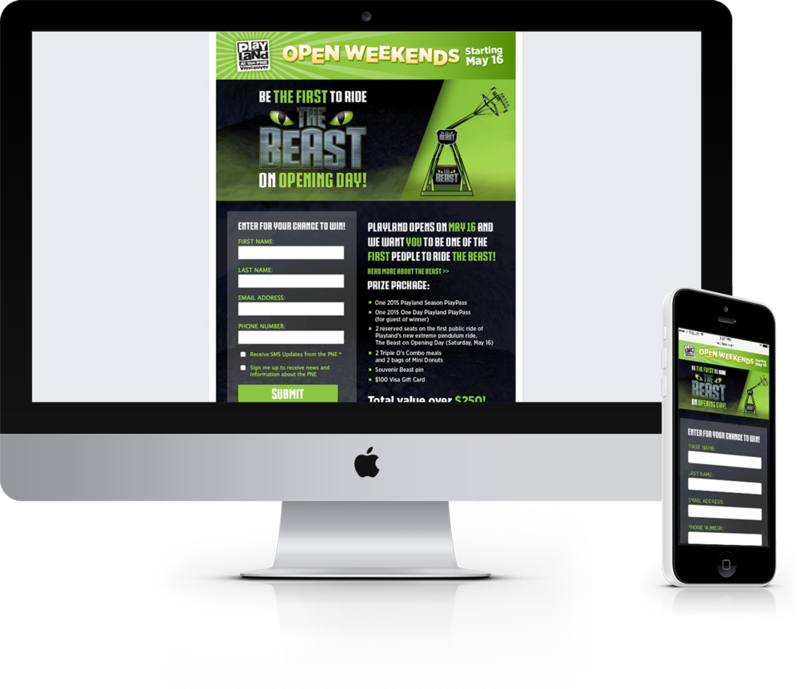 The contest contained a simple entry form to collect the entrants information which also allowed for entrants to opt-in to both their mobile and email database.